NOW- Branched Chain Amino Acids (BCAA's) are 3 essential amino acids which are abundant in muscles. The branched chain amino acids Leucine, Isoleucine and Valine are three of the eight essential amino acids that the human body must receive in food. These amino acids cannot be synthesized in the liver. Suggested Usage: As a dietary supplement, take 4 capsules 1 to 2 times daily, on an empty stomach especially before and after exercise. Consider taking this product in combination with NOW- Whey Protein and Pro-GH. 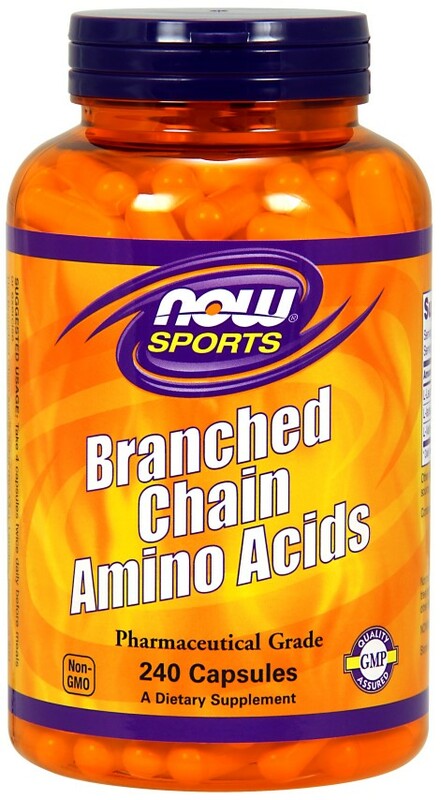 NOW- Branched Chain Amino Acids are Pharmaceutical Grade (USP).